Watch our latest Fun U video: How to create an EZ Opt-In Campaign by Adam Lavine. In today’s economy, customer loyalty must be job #1. Unfortunately, it takes years to win a customer and only seconds to lose one. Once that happens consumers put less trust in brands and tend to switch brands faster. Another problematic issue in acquiring and keeping loyal customers is the TCPA compliance mandate for customer loyalty opt-in. The new amended regulations outline the proper means to acquire consent of a consumer before sending them SMS or making marketing calls. It also precludes “established business relationship” as a means of acquiring consent. Do this one wrong and it could cost you anywhere from $500 to $1,500 per unsolicited call/message. Ouch! No need to worry – we’ve got you covered! With TCPA compliance, and customer loyalty a focus for small businesses to large enterprises, FunMobility, the leader in mobile promotion software, has a simple way to grow your mobile loyalty, and stay compliant with the TCPA. Plus, we created this easy solution to start your mobile loyalty opt-in campaigns in under 10 minutes! Cool huh? It’s really that simple, and with custom messaging and deployment from your employee’s mobile phones, or in-store kiosk, you have the power of mobile customer loyalty right at your fingertips! In a previous blog, we discussed how our new EZ Opt-In SmartWidget dramatically reduces the time and effort required to obtain customer information for the consumer, and your employees. With the EZ Opt-In SmartWidget you can create custom logos, and change messaging in less than a minute! It’s so flexible, it can be launched as a dedicated POS kiosk, on your employee’s phone as a web page, or sent to your customers via SMS or send the URL integrated into your existing email campaigns for a seamless customer experience. This is NOT an app. It is a Software as a Service (SaaS) in the cloud for you to customize, making your mobile marketing fast and easy. As a business marketer, you understand that each mobile opt-in can be worth $300, or more. 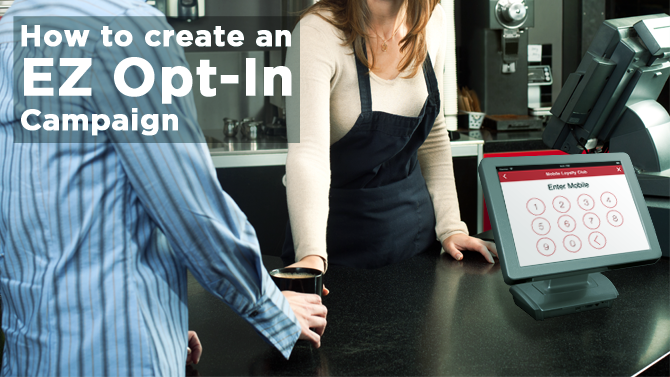 The game-changing EZ Opt-In SmartWidget can boost your mobile opt-in rate by over 200%. Plus, they are fully customizable which allows you to send custom mobile coupons, offers, circulars, and announcements. The EZ Opt-In SmartWidget provides a quick, convenient solution – you just need a mobile phone, or tablet! Simply enter the customers’ phone number and they are signed up – It’s really that easy! The EZ Opt-In SmartWidget can be completely customized with your brand logo, colors, and layout. Simply bookmark, enabling your employees the ability to opt-in a customer to your loyalty list anytime, and anywhere. The EZ Opt-In SmartWidget can be integrated into emails, enabling you to capture mobile phone numbers on an opt-in basis. 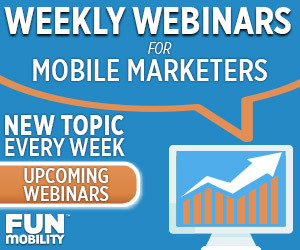 You can also convert your mobile traffic into mobile opt-ins! We have a top-tier roster of clients, including Orchard Supply®, Marketo®, Carol’s Daughter®, Disney®, Chiquita Brands®, and Little League® Baseball. To learn more, request your free demo today!